Brent Celek will be at the parade, I'd think. Longtime Philadelphia Eagles tight end Brent Celek was released by the team Tuesday afternoon as the organization continues clear up cap space by tomorrow's deadline. The 11-year-veteran was with the Eagles through three coaching regimes and made his left his on the city of Philadelphia like few professional athletes in recent history. In fact, Celek was the longest tenured Philly athlete across all four sports. After hearing the news of Celek's release, several Eagles took to Twitter to pay their respects and recognize his contributions on the field and in the locker room. But the biggest show of support (apart from Jason Peters on Instagram) came from Eagles fans and media who have covered Celek over the years. Brent Celek is a true Eagle and always will be. 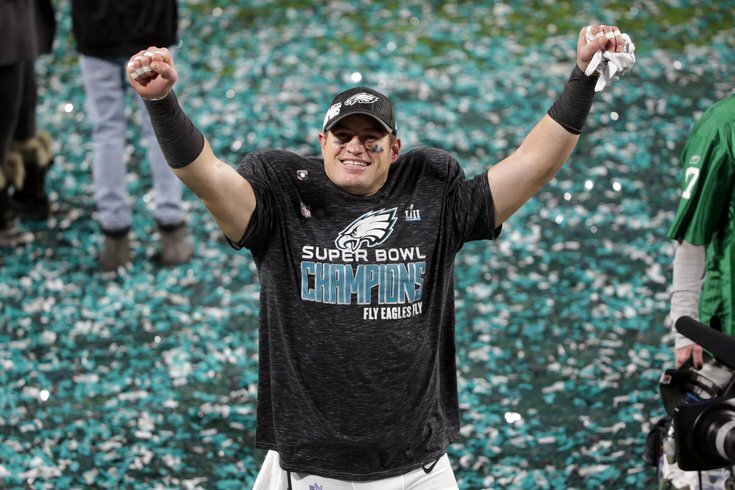 No Eagle has ever played with more heart and professionalism than Brent Celek. He has always been a great credit to this team and this city. I wish him success in all of his future endeavors. @BrentCelek you are by far one of my favorite players of all time! I am beyond sad 😥, wishing you all the best! It's not clear whether Celek will retire or whether he plans to catch on with another team. Regardless of his decision, he'll forever be a legend in Philadelphia.